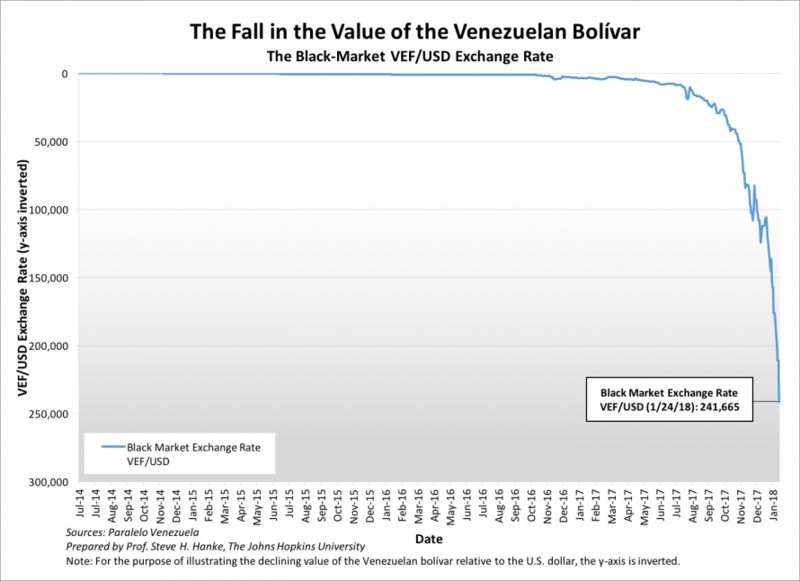 We compute the implied annual inflation rate on a daily basis by using PPP to translate changes in the VEF/USD exchange rate into an annual inflation rate. The chart below shows the course of that annual rate. 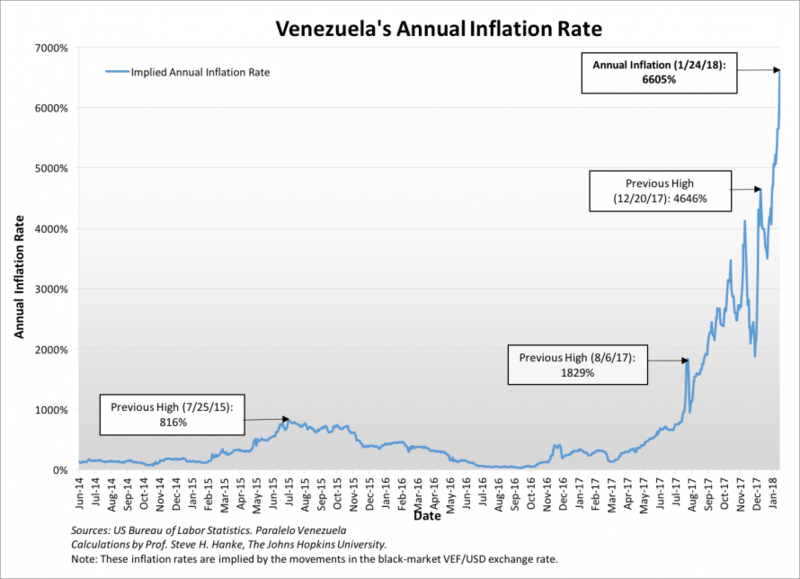 Today's implied annual inflation rate is 6605%/yr (see the chart below). Most musing about Venezuela’s inflation are just that – musings, finger-in-the-wind FORECASTS. The IMF FORECASTS Venezuela's inflation for 2018 to reach 2350%. This musing is way off the mark. Indeed, annual inflation today is MEASURED at a new high of 6605%, which is well above the IMF FORECAST for 2018. I do not report FORECASTS, but real MEASUREMENTS.